If you’ve ever seen Channel 5’s hit show Can’t Pay? We’ll Take it Away, you’ll know that bad debt is big business. Turns out, it’s also great TV. The show follows Direct Collection Bailiffs Limited (DCBL) enforcement officers as they work tirelessly to recover their clients’ property. They happen to be pretty good at it. Last year, DCBL recovered more than £35 million of debts on behalf of small business owners. Write-offs went down, profits went up, and accountants rejoiced. No wonder DCBL has an industry-leading 98% client retention rate. Make no mistake, bad debt is big business. But with DCBL in your corner, you’ll reduce the associated business risks whilst boosting your own reputation with clients in your sector. Read on to find out how Direct Collection Bailiffs Limited can help you, and request quick quotes for their services. Which Debt Recovery Services Does DCBL Offer? Debt collection takes many forms, and DCBL covers them all. Legal fees are known spiral out of control, which is why pre-legal negotiation is the most cost-effective way to settle unpaid invoices. DCBL can provide you with a free phone consultation to discuss how they can help you collect a debt without recourse to a court. Sending letters is a simple, scalable means of enforcing creditor obligations en masse. DCBL’s expert letter cycle recovery team runs email, SMS and direct mail campaigns using language that’s proven to be effective. More often than not, payment is swift, and the money lands in your account shortly after collection. DCBL touts significantly higher letter cycle collection rates than competitors, helped in large part by positive coverage on Can’t Pay? We’ll Take it Away! Even when letter cycles don’t succeed, the DCBL team understands how best to use them in combination with other methods. And, thanks to their diligence tracking and reporting case data, you can be confident they’ll prioritise the cases with the best odds of success. Typical use cases for letter cycle campaigns include enforcing unpaid invoices, chasing rent payments, subscription fees and other recurring charges. Note: While no type of debt is off-limits, DCBL only accepts cases where there are legitimate prospects of recovery. Complete this short form to request a free consultation. What good is the law if you can’t enforce it? DCBL’s licensed High Court enforcement officers have the teeth to make absconders respect legal rulings in your favour. They’ve got a variety of means at their disposal to do this, like clamping cars and seizing assets, but the most effective method is often a simple call round the house of a difficult debtor. After all, who’d want to argue with these guys on their doorstep? DCBL’s approach to pricing for their services is similarly direct. High Court enforcement costs are fixed (normally as a percentage of the money judgment amount), meaning there’s no risk of paying over the odds if a case drags on. You’ll be assigned your own account manager to keep you updated and to answer any questions you may have throughout your case. No matter how hard you try to keep in touch with customers, all contact details have a shelf life. A change of address can make it difficult to track someone down; a new phone number can make it impossible. That is, unless you’re DCBL. Even Jason Bourne is likely to show up on their debt recovery database. The firm uses trace, financial profile and address verification systems that pull data from vast partner networks. This allows DCBL to see a subject’s credit history, spending habits and location in near real time, at which point they can pursue payment. If five seasons of Can’t Pay? We’ll Take it Away! have taught us anything, it’s that DCBL is the real deal. 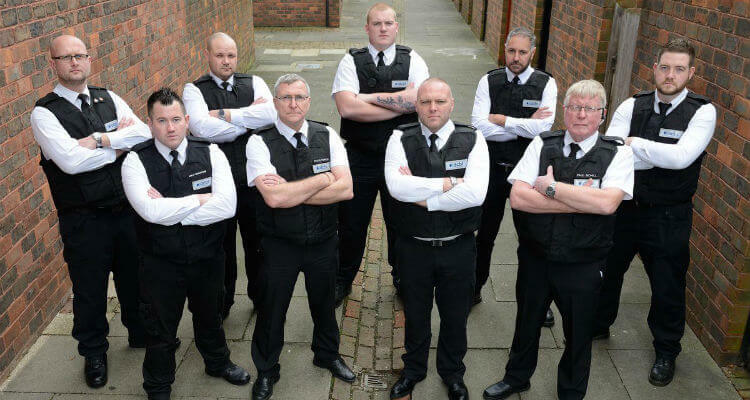 Their no-nonsense approach to debt collection and the professionalism of their enforcement officers in sensitive situations is admirable. More importantly, it’s effective – small businesses save millions of pounds every year thanks to their efforts. So before you go scrubbing your bad debt from the books, get a free debt recovery quote to find out if there’s another way. You might just be pleasantly surprised.